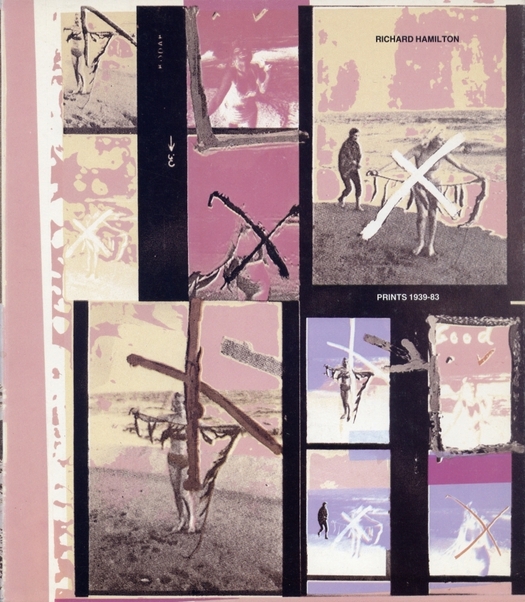 Catalogue cover, Image and Process, published by Edition Hansjörg Mayer for Tate Gallery, 1983. 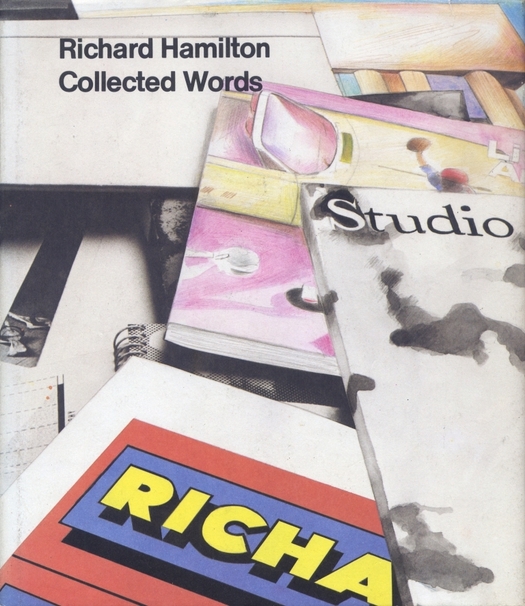 Richard Hamilton, who has died aged 89, was one of the finest British artists of the post-war years. He was an unusual and appealing mixture, an old-school fine artist who loved paint as a medium, measured his progress against the masters, and never gave up on what used to be called visual values; and yet at the same time, an observer with an acute awareness of the contemporary world. In later years, this became increasingly political. A member of the seminal 1950s Independent Group often referenced in this blog, Hamilton was fascinated by advertising, media, design and fashion, and he made these phenomena his subject matter at a time when some other artists were still, incredibly, painting fruit on the kitchen table. 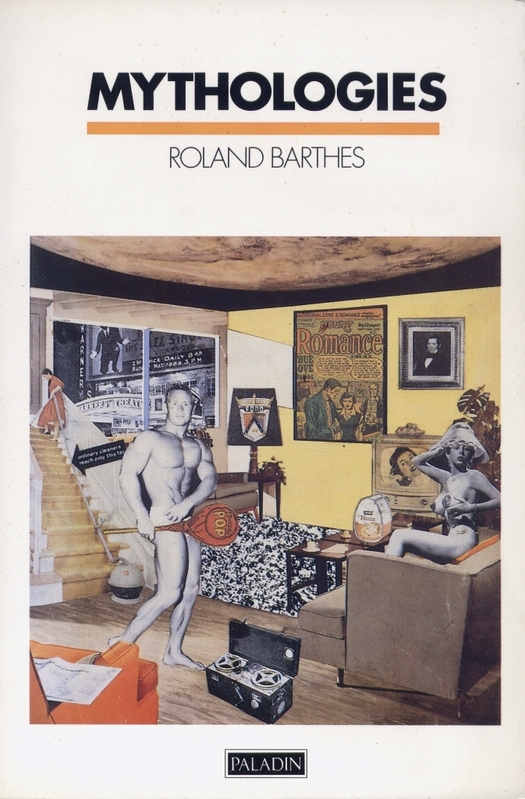 His densely allusive Pop Art collage, Just what is it that makes today’s homes so different, so appealing? (1956), is one of the sharpest, wittiest, most re-quotable responses to the changing visual landscape and cultural concerns of a recovering post-war Britain. Intensively researched paintings such as Hommage à Chrysler Corp. (1957), Hers is a lush situation (1958), $he (1958-61) and Towards a definitive statement on the coming trends in men’s wear and accessories (1963) are analytical probes, anatomizing the styles and codes of the new Americanized consumer culture and reassembling the parts into spare, painterly configurations as sensuous as they are cerebral. 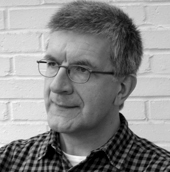 As Michael Bracewell shows in his book about the formation of the era-defining British rock group Roxy Music, Hamilton had a deep influence on Bryan Ferry, the band’s leader, who was his student at Newcastle University, and via Roxy, on 1970s pop culture. I can vouch for that impact myself. I was a Roxy Music fan and I loved Hamilton’s work the moment I came across it as a teenager beginning to explore Pop Art; his studied gaze and note-perfect interpretations exuded an effortless modern cool. Cover image: Just what is it that makes today’s homes so different, so appealing? 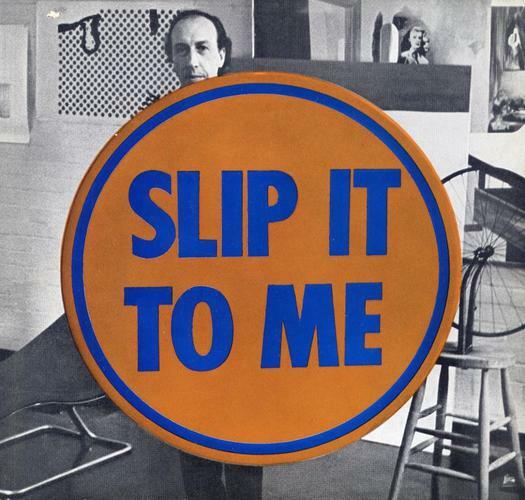 by Richard Hamilton, 1956. 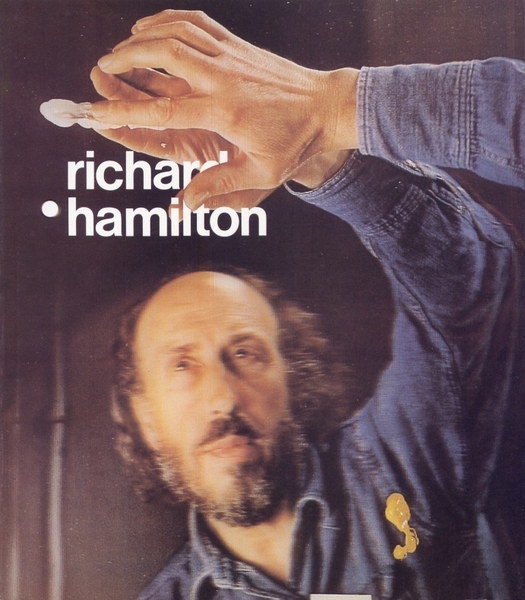 Hamilton, clad in his habitual hipster uniform of denim jeans and jacket, was generous with his time and attention, though a little less interested in Typographica and design than I had reason to hope, since he was an accomplished typographer and had once taught design. He was also well known as an admirer of Braun’s electrical products, even making art works about them, and the open, spacious living room where we settled to talk was equipped with an impressive Dieter Rams sound system that was by that time a museum-worthy classic. The Rams exhibition at the Design Museum, in 2009, included Hamilton’s visual homages to Braun. Catalogue cover, published for Waddington Graphics, London by Edition Hansjörg Mayer, 1984. The second time I visited Hamilton, in 1999, it was to see the work he had been doing on a further typographic interpretation of another set of handwritten notes by Duchamp from the so-called White Box published in 1967. Duchamp referred to Hamilton affectionately as “my great decipherer” with good reason — see also his meticulous reconstruction of Duchamp’s Bride. Hamilton’s intricate little book, another remarkable feat of research, translation and reconstruction, was subsequently published with the title à l’infinitif (in the infinitive) at his own expense in an edition of 5,000 copies. I wrote about the project in Eye. (See pictures of the book on the Eye blog.) By then, Hamilton was in his late 70s and what struck me most on this second visit was his immense mental and physical vitality, the energy and commitment with which he embraced such a demanding and self-imposed intellectual challenge. He was rightly celebrated in an exhibition at the Serpentine Gallery, London in 2010 and his international stature is bound to lead to some overdue reassessments of an artist who led the way in investigating — and transfiguring into a new kind of art — so many aspects of the designed world.